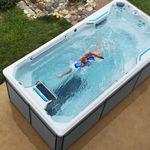 You’ve enjoyed countless hours of relaxation, muscle relief and fun in your hot tub. You have actually grown quite attached to it. Now you find yourself moving! 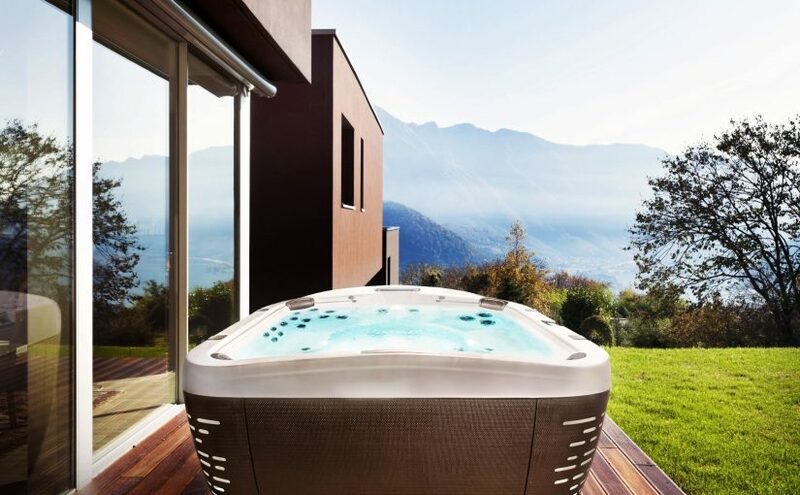 You are looking forward to the next chapter in your life, but you can’t imagine leaving your hot tub behind. It really just isn’t an option. Now you have a dilemma … how do you move this thing? Paying movers to move it for you would be easy, but is also costly. Moving it yourself seems like a daunting task. Don’t worry! Moving your hot tub to a new house is not as hard as you might think. The first step actually starts a few days before your big move. You will want to drain the water and give your hot tub a good cleaning. 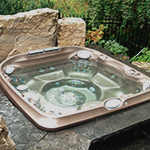 While you are packing may not seem the ideal time to clean your hot tub, but it is an important step. 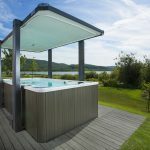 Your hot tub will be sitting empty for at least a day or two so any of the nasty scum in your tub will dry and cause further headaches if it is not properly cleaned. Moving your hot tub will require a few supplies. You will need two furniture dollies, a couple of long straps and two 2 X 4’s. This isn’t a one man job so you will want to have plenty of friends. 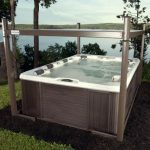 Making sure that you have access to these things on the day of your move will make moving your hot tub much easier. 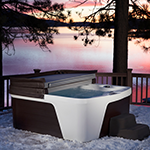 When you are ready to actually move the tub, start by packing your hot tub accessories and parts separately. These parts might include your cover, the stairs, and the railing. Even the heater, pump, blower and electric units should be packed separately if they are easily removed. Your tub is going to be turned on its side. Having extra parts in the tub will add a lot of additional strain on the pipes. This could cause fittings to come loose or pipes to break. You don’t want any leaks when you get to your new home, so be sure to take extra care with this step. Now you should just be dealing with the tub itself. Start by turning the hot tub on its side. Next, lift one side of the tub and place a 2 X 4 under that side. Repeat this process for the other side. Now your hot tub is slightly off the ground. You should be able to easily place a furniture dolly underneath one side and then the other. Starting with the tub slightly off the ground helps reduce the angle so your tub does not move around as much as you get it on to the dolly. Once your tub is on the dollies, use your straps to go over each end of the tub, securing the hot tub to the dollies. Now that everything is strapped down, you are ready. Roll the hot tub to the moving truck and load it up for the trip. Once you have your tub on the moving truck, you should reverse the process, placing the hot tub on the flat floor of the truck. Even though it would be easier, it is not recommended that you leave the tub on the dollies while it is in the truck. Once your hot tub is safely loaded into the moving truck, strap it down and load the rest of your items into the truck. Once you have reached your destination you will use the same process to unload the hot tub from the truck and move it into place at your new home. The process really isn’t difficult and the efforts are totally worth it. Having your familiar, comforting hot tub at your new house will go a long way towards making your new place feel like home. Questions? Give us a call? We’d be happy to talk you through the process!